According to a recent study conducted by the AAA Foundation, Millennials in the age group of 19-24 engaged in the riskiest of driving behaviors. With the increased use of smartphones and other technologies over the past decade or so, distracted driving and its associated risks have become a cause of concern. A number of studies have demonstrated the risks of distracted driving. 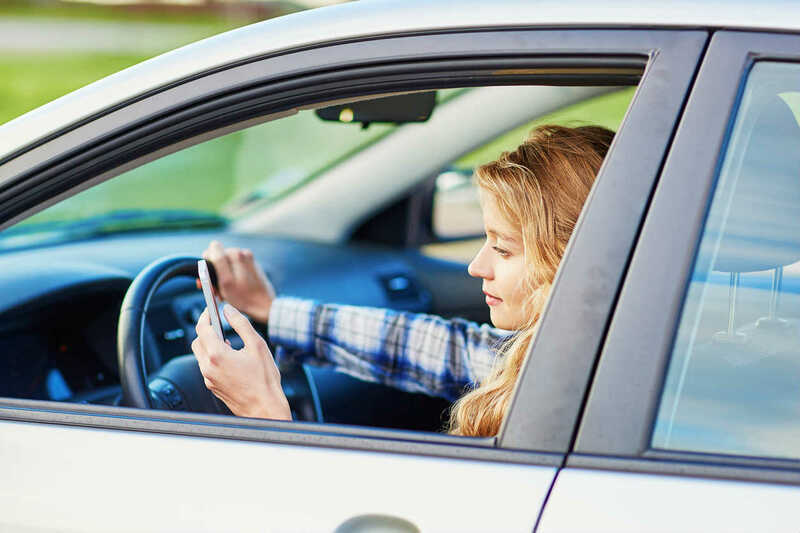 According to a recent study conducted by the AAA Foundation, Millennials in the age group of 19-24 engaged in the riskiest of driving behaviors, and some of these risky behaviors were directly related to the use of technology while driving. When drivers engage in dangerous driving behaviors, they place themselves and others at high risk of serious injuries. The study involved 2,511 licensed drivers ages 16 and older. The participants were asked a number of questions related to various risky driving behaviors and the views that they had about different acts of dangerous driving. Surprisingly, 88 percent of the drivers ages 19-24 admitted to engaging in one or more dangerous driving behaviors within the 30 days preceding the survey. The dangerous behaviors included using cell phones while driving, speeding, impaired driving and running red lights. Drivers in this age group were 1.6 times more likely to read text messages when behind the wheel compared to drivers in other age groups. More than 66 percent admitted to doing so. Younger drivers were also twice more likely to send texts while driving. Use of technology was not the only dangerous driving behavior that millennials indulged in. They were also more likely to indulge in other dangerous driving practices such as speeding. Nearly 12 percent of drivers in the said age group admitted that they believed it was okay to exceed the posted speed limit by 10 mph when traveling through school zones. They were also 1.4 times more likely to have exceeded the speed limit by 10 mph in the past 30 days compared to other drivers. Nearly 50 percent of the drivers in this age group admitted to running a red light at least once in the past month, and 14 percent claimed that it was safe to do so. Safety experts believe that texting while driving is particularly dangerous when it comes to distracted driving behaviors because it involves all three types of distraction – cognitive, visual, and manual. According to the National Safety Council, 26 percent of all traffic accidents can be attributed to distracted drivers texting or talking on the cell phones while driving. Another AAA Foundation study has shown that 90 percent of drivers belonging to all age groups admitted that using cell phones while driving was unacceptable, but 35 admitted to doing it themselves. Traffic deaths have also been increasing. According to the National Safety Council (NSC), 40,200 people lost their lives in traffic accidents in the U.S., which is an increase of 6 percent from 2015, and of 13 percent from 2014. A part of this may be attributed to an increased number of people on the road, but it can also be attributed to an increase in distracted driving. If you have been injured by a distracted driver, you should seek legal help from a competent St. Louis car accident lawyer. Give us a call at (314) 361-4242 for a free consultation.